Fixing your vacuum can be as easy as diagnosing the problem. Taking a few minutes to diagnose, troubleshoot, and hopefully make a quick fix can save you time, money, and aggravation. The most common vacuum problems can often be attributed to simple fixes. To diagnose your vacuum spend a few minutes learning where the issue is coming from. Knowing the origin of the problem can guide you to the likely solution. 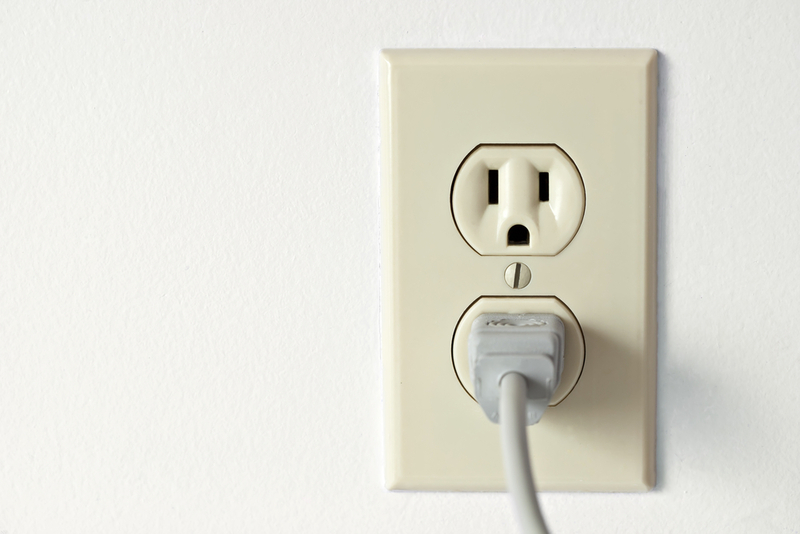 Although it may seem obvious, sometimes plugs are not actually plugged into the outlet; they may have fallen out or have been placed in a faulty outlet. Double-check that the issue is not originating from the outlet rather than the vacuum. If the outlet is not the issue, the problem may be with the cord of the vacuum. Is it frayed? Are the prongs bent? Next, check to make sure your vacuum has a bag in place. Due to a fail-safe trigger, some vacuums will not operate without a bag present. If there is a bag in place, how full is it? Bags should be replaced when they are more than half full. After examining the bag, inspect your machine’s pre-filter. It should not be hard or full of dirt. The pre-filter protects the motor and should be cleaned periodically to avoid damage and extend the life of your machine. Check your machine for its circuit breaker, usually located on the powerhead of the machine. Is the light red? Yes? It is likely that your vacuum is short-circuiting due to buildup of debris on your brush roll. Clear the blockage and reset the breaker. Frayed power cords or kinks in the line can also contribute to the intermittent power which your vacuum is experiencing. Sometimes inefficient suction may be misinterpreted as a result of using the wrong height setting. Ensure that the height of the vacuum is correctly aligned to the floor type. For most vacuums, the appropriate height is when the beater bar bristles just lightly sweep the surface of the floor. If the height setting seems to be appropriately adjusted, ensure that the vacuum bag isn’t too full or blocked. Remember, bags should always be replaced when they are more than half full. Change the vacuum bag if it looks like this could be the issue. After inspecting the bag, review the remaining parts of the vacuum which could be susceptible to a blockage or an accumulation of debris. Blockages commonly occur in the filter, hose, or brush roll. The brush roll should be freed of all accumulation. Removing hair and other lodged items from the brush roll can be done using everyday items like scissors. 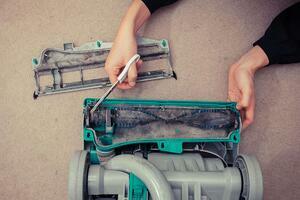 If your vacuum has a HEPA filtration system, examine the filter. The filter should be changed every 3-6 months depending on usage. If properly maintained the filter will be white. If your vacuum is not picking up materials, and there is a loss of suction, check the brush roll. Brush roll bristles experience wear and tear and should be replaced when they no longer extend just beyond the bottom surface of the vacuum. Remove any buildup. Contributing to this issue could also be a blocked or cracked hose. Disconnect the hose, inspect for any debris left behind and try to dislodge it. If the inside of the hose is clear, look for any cracks or leaks in the hose. One of the most common reasons for abnormal noises is an obstructed or clogged hose. Dislodged or broken belts can also be the cause. Does the belt look worn out? Is it too loose or pulled too tight? If you are noticing any of these irregularities, it is time to replace your vacuum belt! Vacuuming plays an important role in your facility’s floor maintenance routine. Out-of-service machines lead to dirty and damaged floors, lost employee productivity, and greater costs to your business. When your vacuum is experiencing issues it is worth taking a few minutes to try and identify the problem. 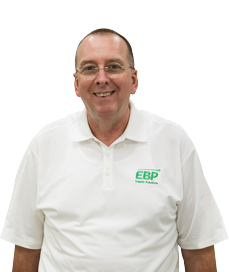 Dan Carr is the Equipment Program Manager for EBP Supply Solutions and a Trainer for the EBP Training Academy, which offers CMI-certified and other training courses for supervisory and front-line cleaning professionals throughout the Northeast and Mid-Atlantic regions of the United States. He holds the ISSA CMI Basic certification and has over 35 years of experience in the janitorial and sanitation industry.